Alan將運用頂尖的影像分析和擊球監察科技，助您更全面地了解您的高爾夫球技術，將您的球技提升至前所未有的境界。 Alan has experience coaching players of all levels including a selection of aspiring Tour Professionals. 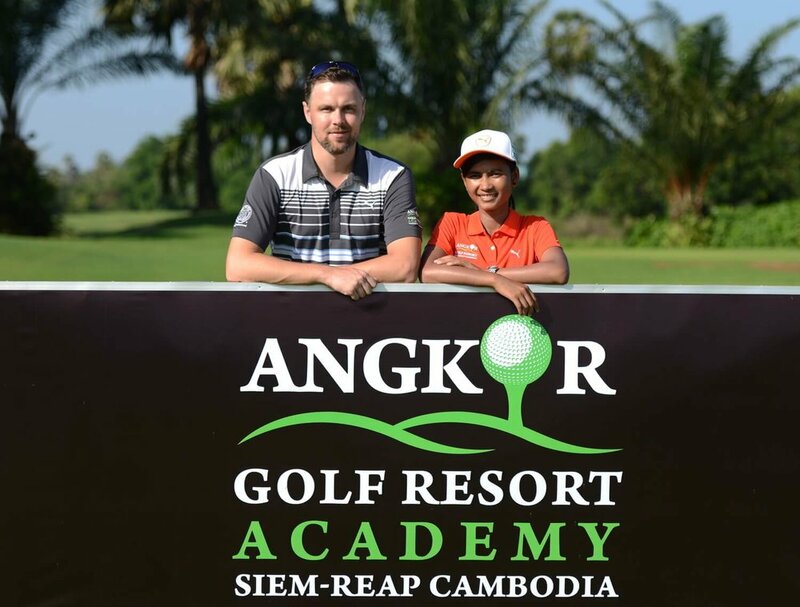 Visiting Siem Reap and playing Angkor Golf Resort for the first time? Maximise your experience with our popular 9 or 18 Hole Play with the Pro Package, Alan can guide you hole by hole around our Award Winning Faldo Design Golf Course and discuss the areas of your game you wish to improve. Our PGA Professional will analyse your swing utilising V1 Video Technology and work with you on the specific area of your game that you wish to improve the most. A great way to create further understanding of your own unique swing and how to make it more consistent. Access to the USGA Handicap System is for our Preferred Golfer Card Holders.